Ahhhh, croquetas…those fried, little nuggets of deliciousness. Yet again, Burger Beast is bringing you another top-notch event, this time featuring lots and lots of croquetas! Croquetas are ubiquitous in Miami. There’s not a ventanita that doesn’t sell them and there’s not a get together where there’s not a tray of party-sized croqueticas. With fillings like ham, spinach, and salted cod there is a flavor for everyone, plus they’re fried. Double whammy. The event will take place at Magic City Casino from 12PM (for VIP ticket holders) or 1PM (for general admission) until 4PM. 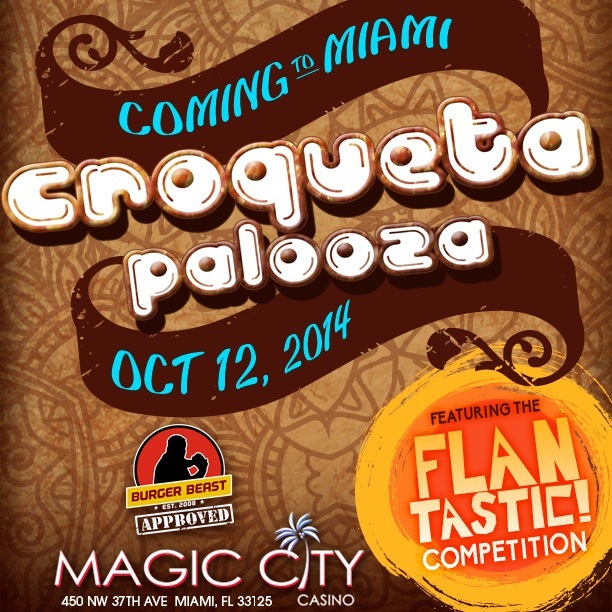 If croquetas are really your thing, there’s even a croqueta eating contest judged by none other than Fatgirl Hedonist! ***Please note that this event is 21+.